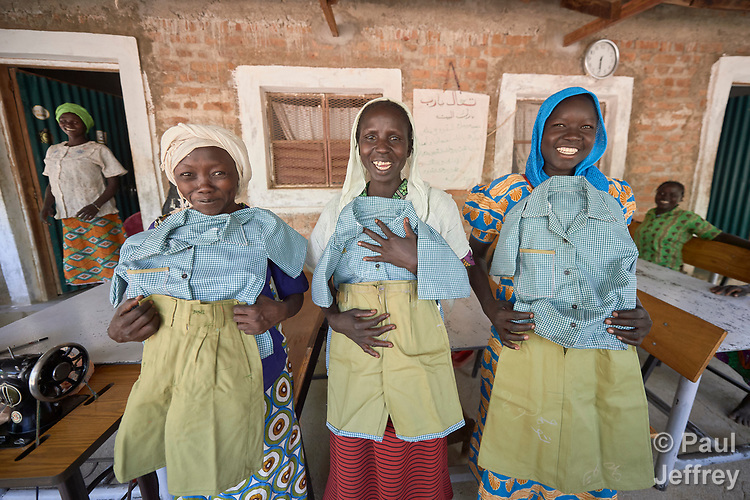 Women proudly display school uniforms they have sewn at the church-run women's center in Gidel, a village in the Nuba Mountains of Sudan. The area is controlled by the Sudan People's Liberation Movement-North, and frequently attacked by the military of Sudan. The Catholic center helps women earn incomes that increase their status in the family and community.